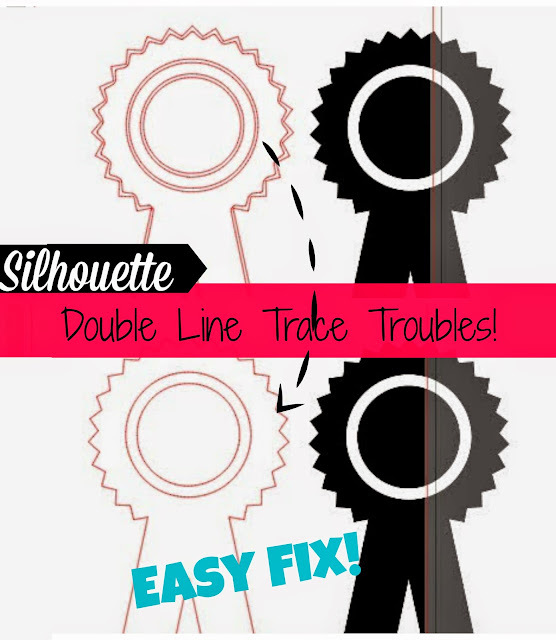 10 Silhouette Studio Defaults You Can (and Should) Change! 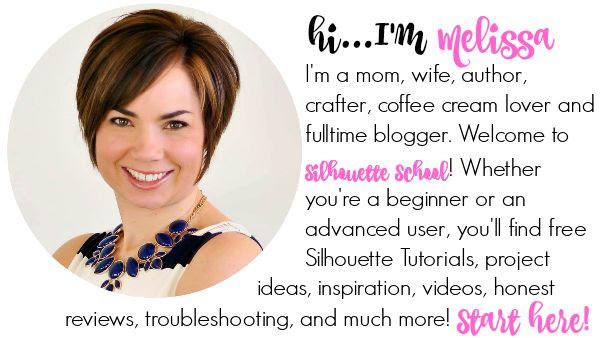 We all know Silhouette Studio is a power software program - but sometimes it can be a little quirky. 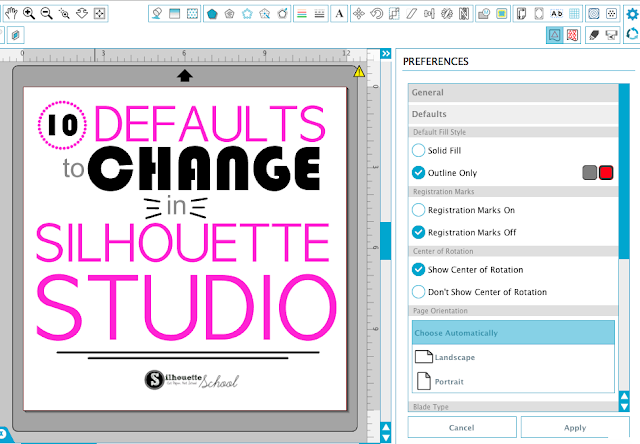 Some of the things that leave me scratching my head are the manufacture defaults in Silhouette Studio. 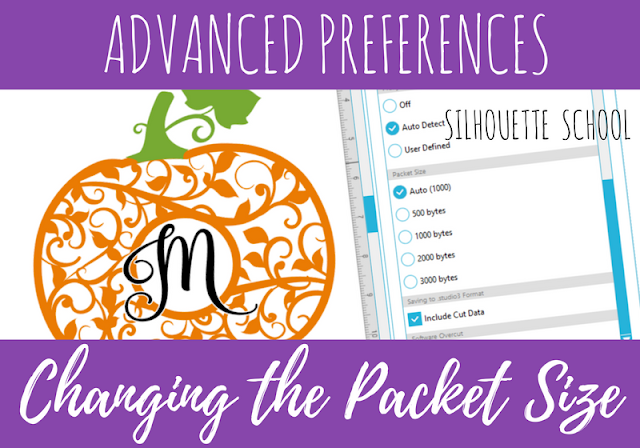 The longer I use Silhouette Studio the more I realize that some of the defaults are just not nearly as useful as other options and preferences. 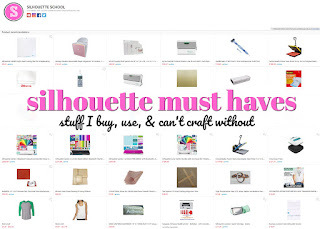 So as we continue Top 10 weeks here on Silhouette School, here's my list of 10 Silhouette Studio Defaults You Can and Should Change. The default font size and style in Silhouette Studio is Arial 72... I know they had to pick something..but I can bet no one is cutting Arial 72 the majority of the time. It would be nice to be able to pick your own default font size and style. And you can...kinda, sorta. 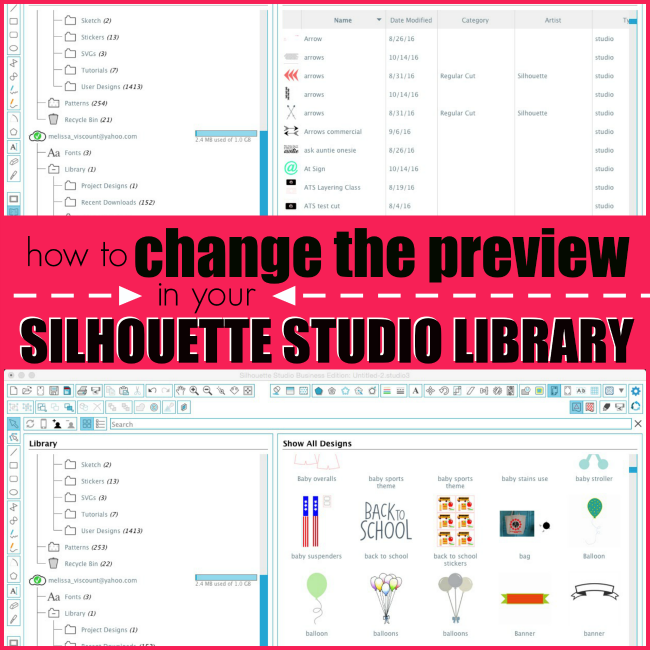 While you can't change the default for good, you can change the default text size and style in Silhouette Studio during your current session. 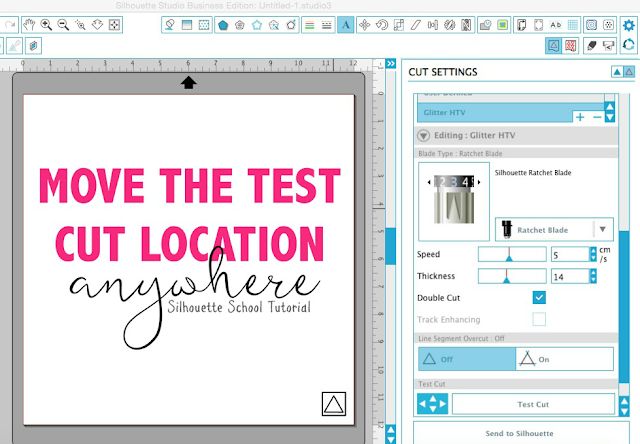 Check out this Silhouette Studio tutorial for how to change the default text style. 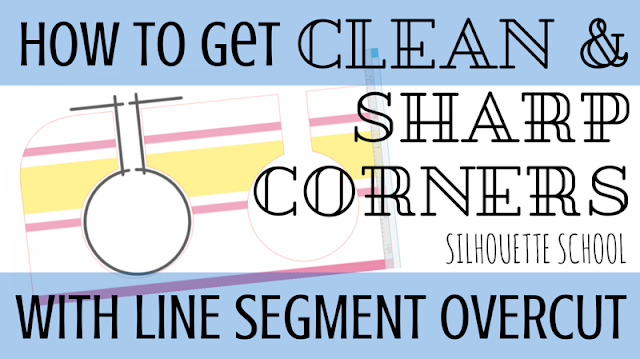 The packet size refers to the rate at which information is sent between Silhouette Studio and the cutting machine. The default of 1000 bytes can be reduced to 500 to increase performance and fix errors such as the stray line cut and your computer or cutting machine going into sleep mode. The high pass filter, which produces the double cut line when tracing, is a default setting. Uncheck it when you trace and 99% of the time you'll get a better trace. 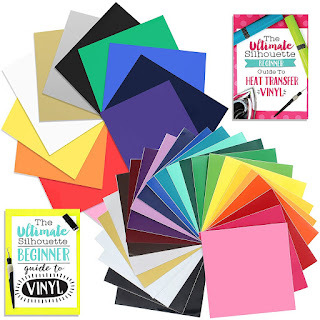 The test cut location is at the top left corner of the cutting mat...but you can move it anywhere you want with each cut. You can't re-set the default position permanently, but using the arrows next to the test cut, you can change the cut location. The bulls eye-looking center of rotation is on by default. You can turn it off to avoid accidentally grabbing it when selecting shapes through the Preferences window. 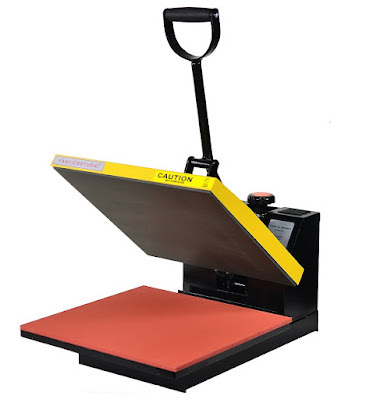 The default registration mark location in Silhouette Studio fail to maximize the print space! 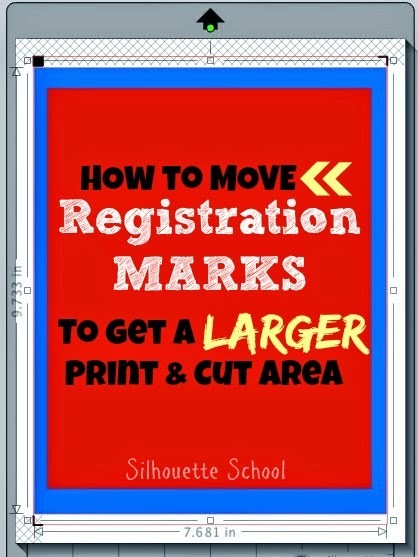 Move all of the registration marks with the exception of the bottom mark to give yourself more room to print. 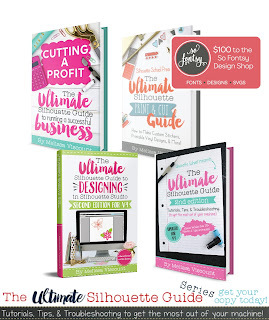 Too many green circles and selection boxes all over your work area? 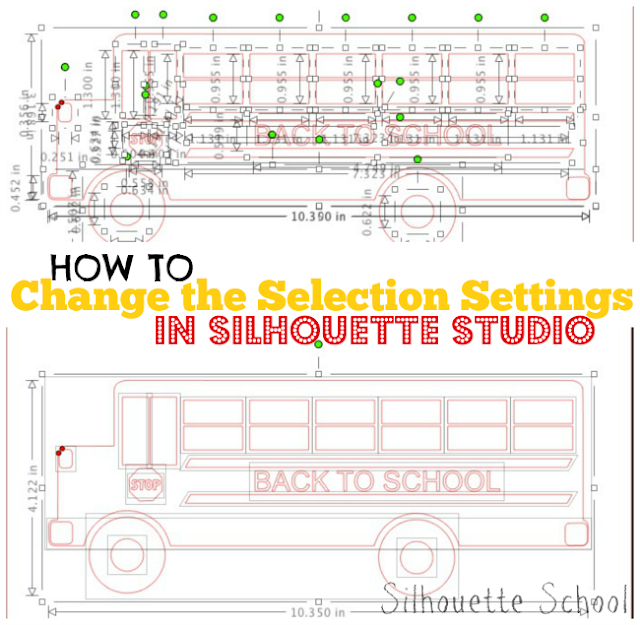 Change the selection preferences by going into the Preferences window and opting for a single selection bounding box. 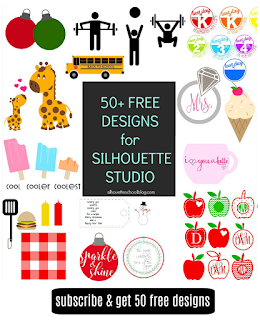 Having a hard time seeing your Silhouette Studio tool icons? You can increase or decrease the size of the tool buttons. If they're too large and can't completely fit across the top of the software, they will collapse into a drop down menu. The default library view is the grid view, but if you'd prefer to look at your designs in the list format you can change the library view to do just that! This is an easier way to bulk move files into other folders and view their properties at a glance. The default cut settings always keep the Segment Overcut option off. 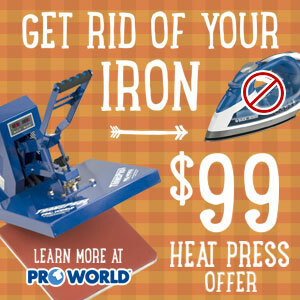 But it's ideal to cut with the Segment Overcut as you'll almost always get a better cut.